I’ve been reading up on “official food holidays”, days dedicated to a particular foodstuff put together by an interested trade organization or a public relations firm. For some reason, January is particularly heavy with these made up “holidays”, which is likely why I turn to them this month. They’ll full of kooky ideas. Last week I made tempura shrimp for “National Tempura Day”, because that’s a thing. Today is “Hot & Spicy Food Day”, because apparently that is also a thing. 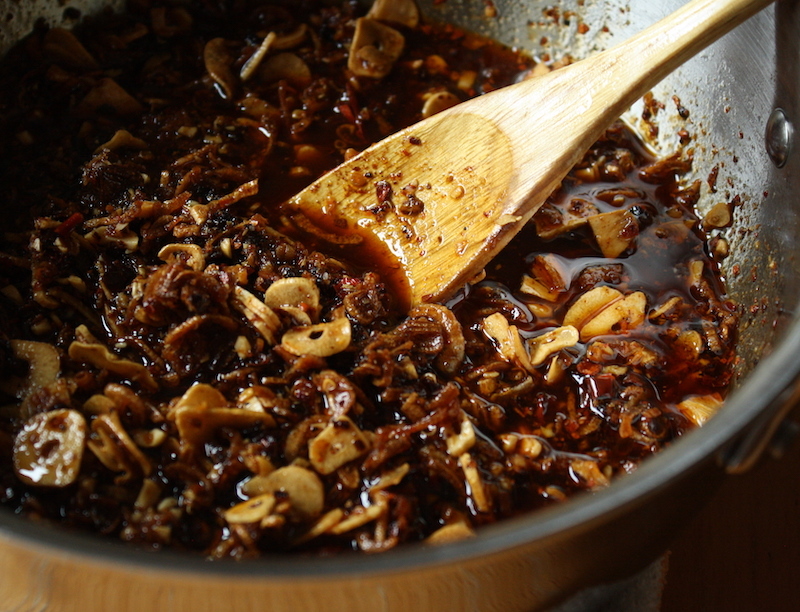 It also plays quite nicely into a new obsession of mine: Chili Crisp.